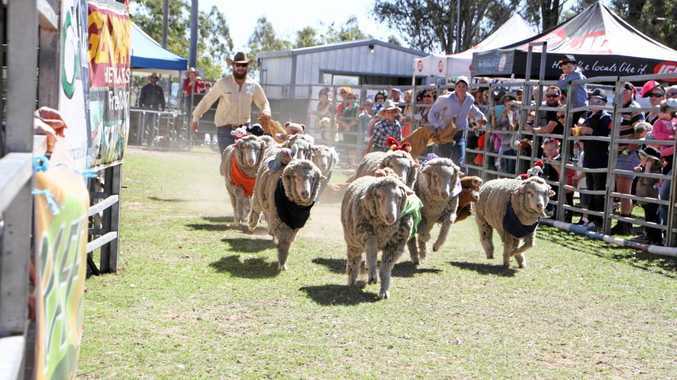 IMAGINE, if you can, a mob of headband-wearing, Lycra-clad sheep puffing away as they run on a treadmill. It's a ludicrous thought - sheep don't need headbands - but the concept of using wearable fitness devices such as Fitbits to monitor the animals' health and behaviour could soon become a reality, according to researchers at the CSIRO. And just as two-legged fitness enthusiasts use the devices to measure their activity and health, such trackers could become a vital tool for Australian farmers, the scientists say. As reported in the latest newsletter from the peak research institution (motto: we shape the future), a ewe can change paddocks 10 times a year, and the feed in each paddock might be quite different (grass, shrubs, harvested crops). At the same time, the ewe will be carrying, suckling or teaching its lamb what to eat. "With about 74 million sheep in Australia, managing the welfare of their flocks is a big logistical problem for farmers,” reports CSIRO blogger Darius Koreis. Sheep fitted with the trackers attached behind their shoulders were grazed in field trials in WA to test their effectiveness, with the help of local farmers. CSIRO senior research scientist Dean Thomas said farmers were already using water point monitors, GPS and drones in their businesses but that the trackers could inform broader practical management decisions. Escapes, predation and theft, water supply, erosion and pasture quantity and its use were just some of the applications of the tracking technology, Dr Thomas said. The team's next challenge is interpreting the data to maximise its value. To do that, they'll go back to basics and visually monitor sheep behaviour and productivity across a range of situations. For instance, can sheep behaviour be used to alert a farmer when a paddock has run out of feed? Or, can the speed of a flock's movement be used to detect a predator so an alert can be sent to a farmer? "We need to build up our data over a number of different scenarios, and then convert all of that into an integrated system for graziers,” Dr Thomas said. Another challenge is waiting for hardware costs to drop further before farmers invest in equipping their flocks, and the more sheep fitted with the trackers, the broader the opportunities. Just imagine if every sheep had their own tracker - stray, sick, or injured individuals could be quickly identified and helped. Sheep breeders would benefit from large numbers of individual sheep being monitored, by picking up desirable "trait” information and answer questions such as whether active sheep were healthier and growing faster, or were wasting their energy, Dr Thomas said. "Like a team of football players wearing GPS trackers, the individual performance of sheep could be evaluated,” Dr Thomas said. News Darryl Beitzen has a big idea to teach kids about the forefathers of Mitchell, who served in the armed forces. News Meet the town's only veteran who prepares the cenotaph every year. 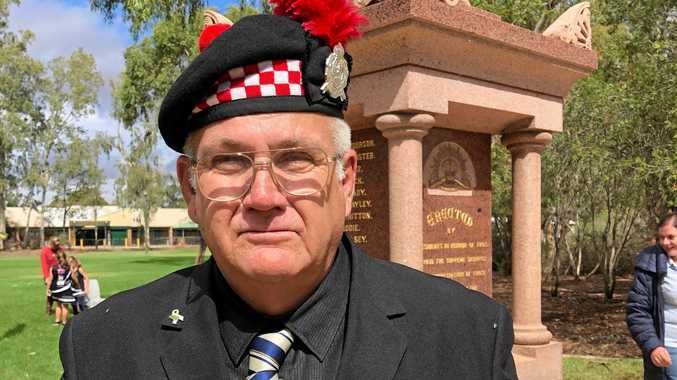 News A message from Charleville RSL sub branch president, George Donohue.